Call it a starfish or a flower. Whatever you call it, your children will love it. 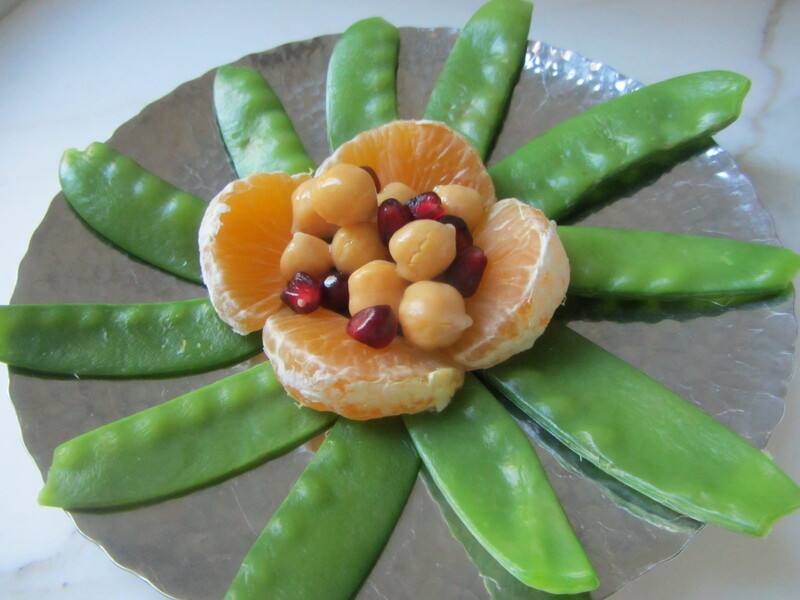 They can even build it themselves: snow peas + chickpeas + mandarin orange sections + pomegranate seeds = delicious, protein-rich breakfast salad. 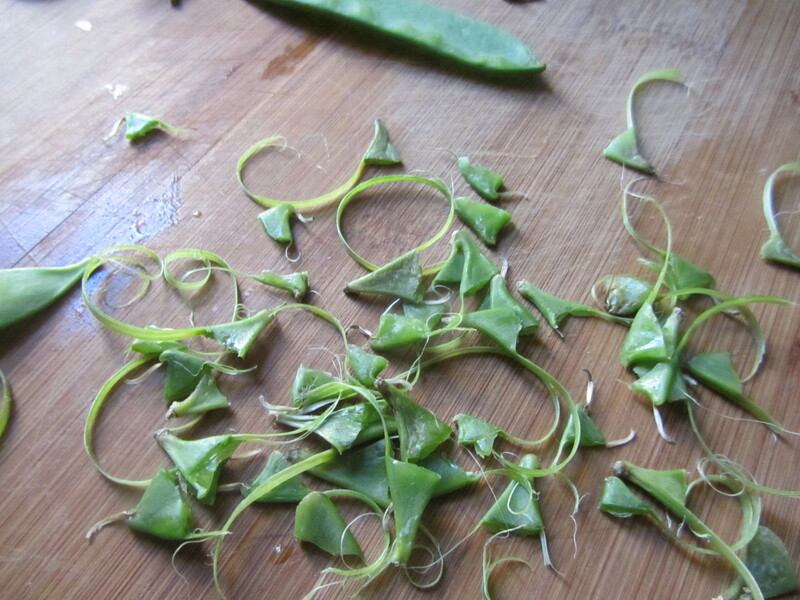 Process Remove the ends and strings from each snowpea. 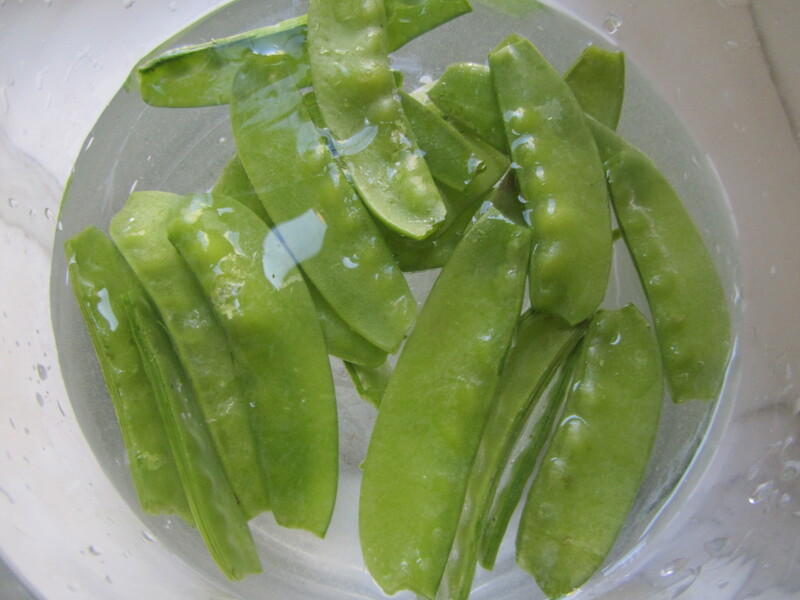 Bring a pot of water to a boil and drop the snowpeas in. They will float to the top in less than 30 seconds: they are done. 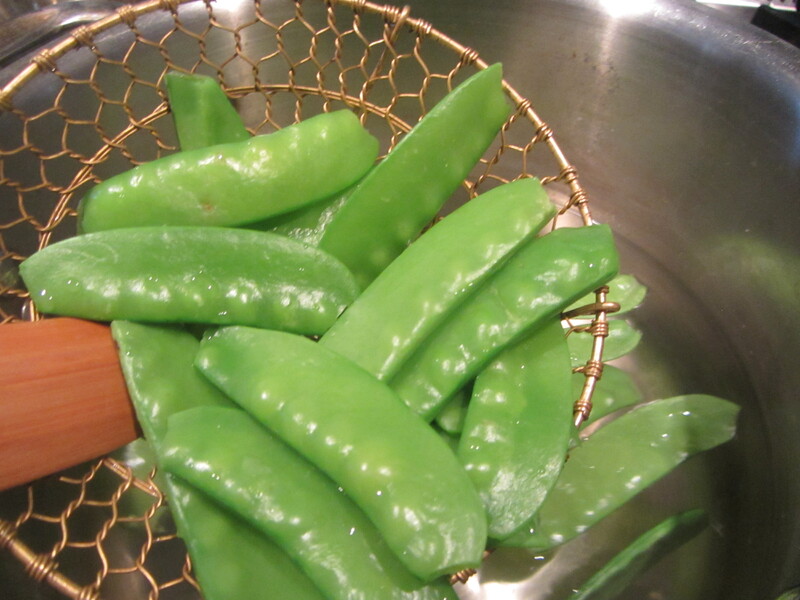 Remove them with a wire mesh skimmer and set aside. 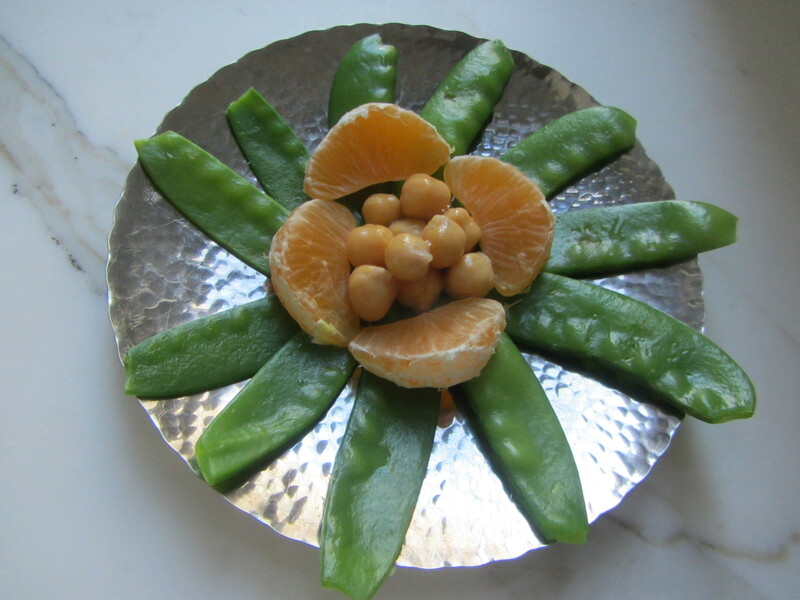 Peel a mandarin orange and section it; set them aside. 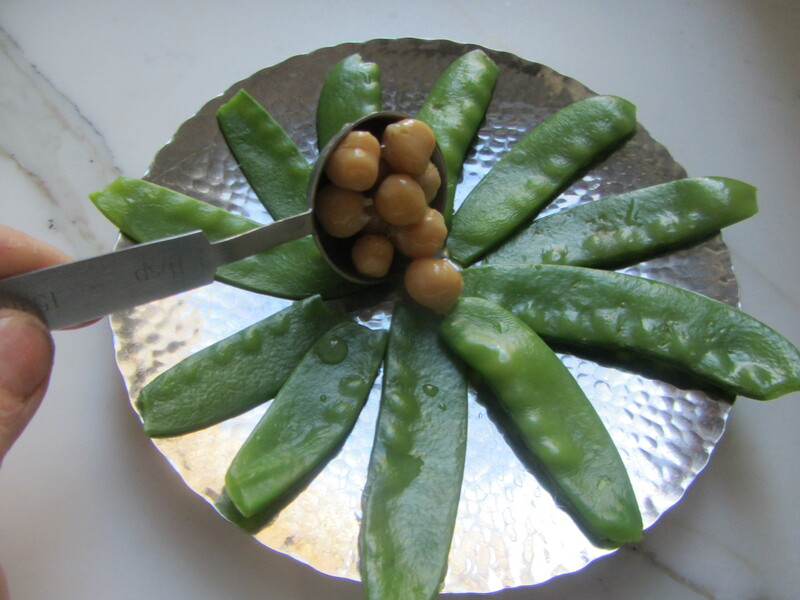 Separate the seeds or arils from the pith of the pomegranate; set them aside. 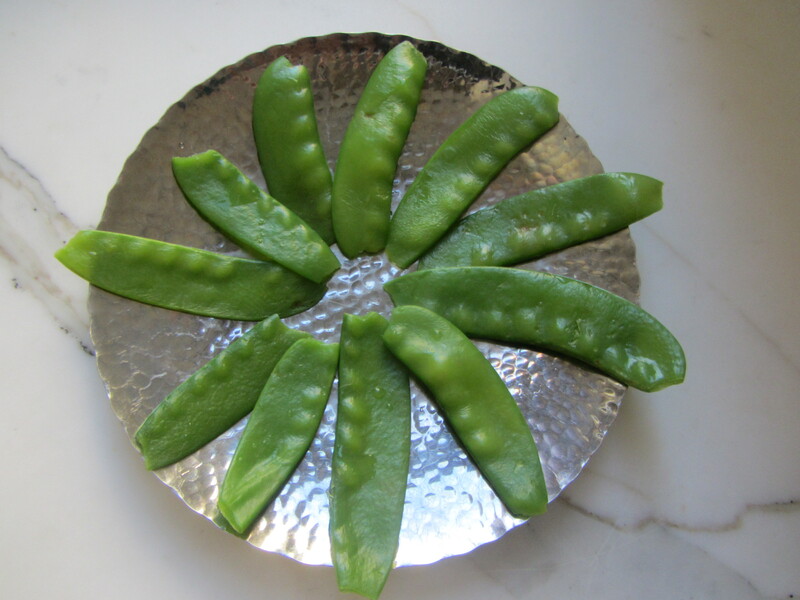 Arrange each plate: place the snowpeas emanating from the center of the plate. and sprinkle the pomegranate seeds on top.